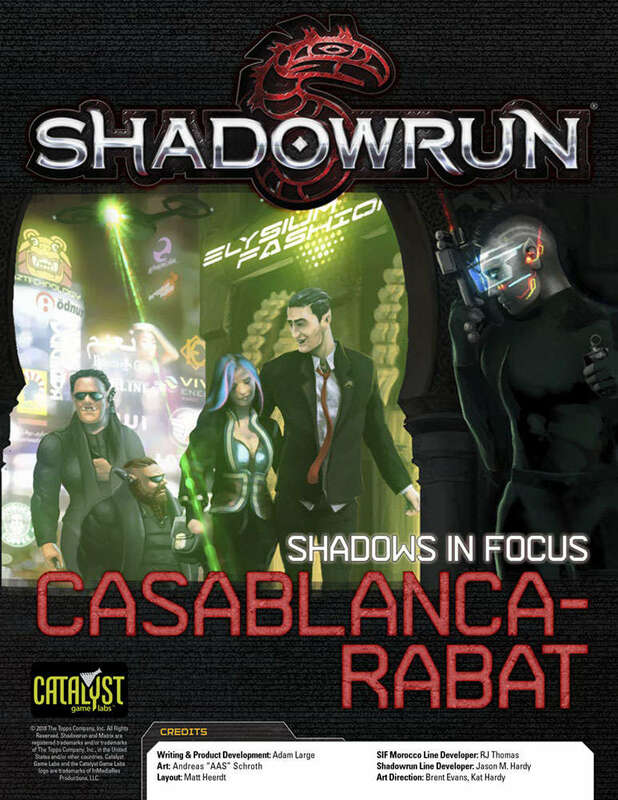 Also, don’t miss the recently released follow up to Shadows in Focus: Morocco—Shadows in Focus: Casablanca-Rabat (Catalyst shop, Drivethru). Here’s what it has! New adventure! Core SR5 rulebook back in print! All sorts of fun to be had! 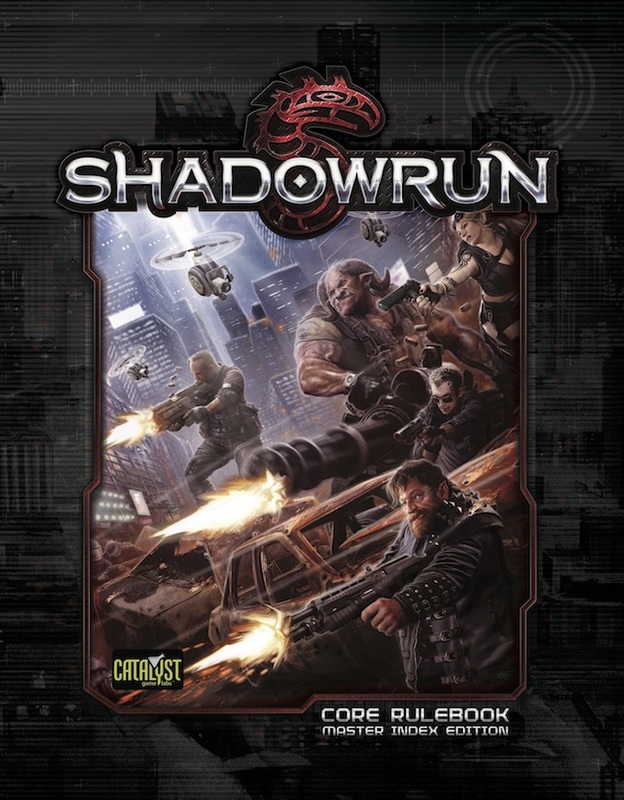 We’ve heard that some players have had trouble finding the Shadowrun, Fifth Edition core book recently, and we’re happy to announce that the drought should be over. The latest printing of SR5 is appearing in stores all over the place, and you have four new covers to choose from. What do those covers look like? I’m so happy you asked. Here they are! Some new errata has been included in this book–here’s a link to the changes. And if you like the new covers, we have word that some new wallpapers might be in the works–stay tuned! In any given sprawl, there are a few million people who hate a few million other people in an endless cycle of grudges and hostility. What keeps the peace is that most of the people lack the power to do anything about their anger, so a status quo of simmering tension is maintained. Problem is, if some of the angry parties got their hands on enough power of any kind, those simmering tensions would explode. DeeCee, the UCAS capital, is full of all kinds of power, and enough factions are grabbing for it that the prospect of open fighting or worse is growing. This is especially worrisome since some of the factions have nothing on their mind other than utter destruction. 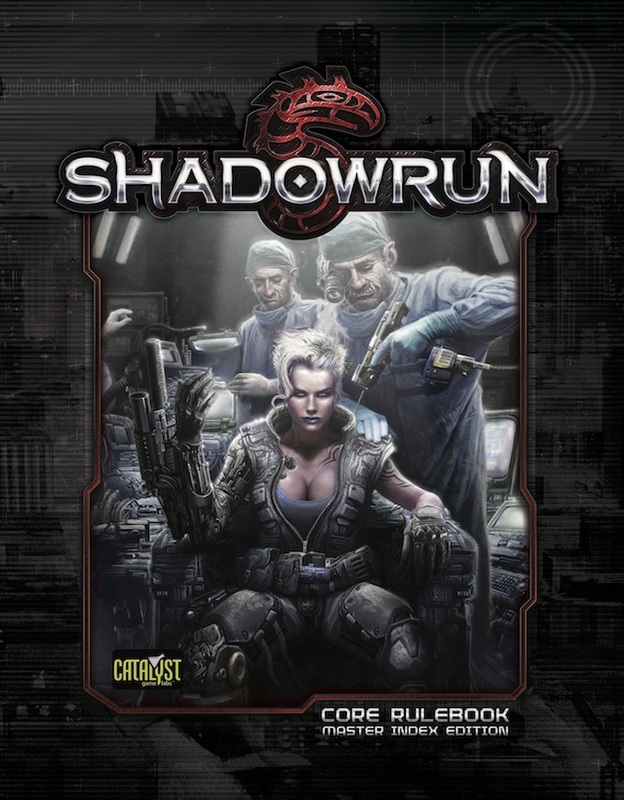 The law firm of Stark, Theissen, and Van Der Mar is making too much money from the status quo to want it to change, and they’re about to discover that shadowrunners might be the only thing that can stop the advancing secret plots from plunging the sprawl into complete disaster. 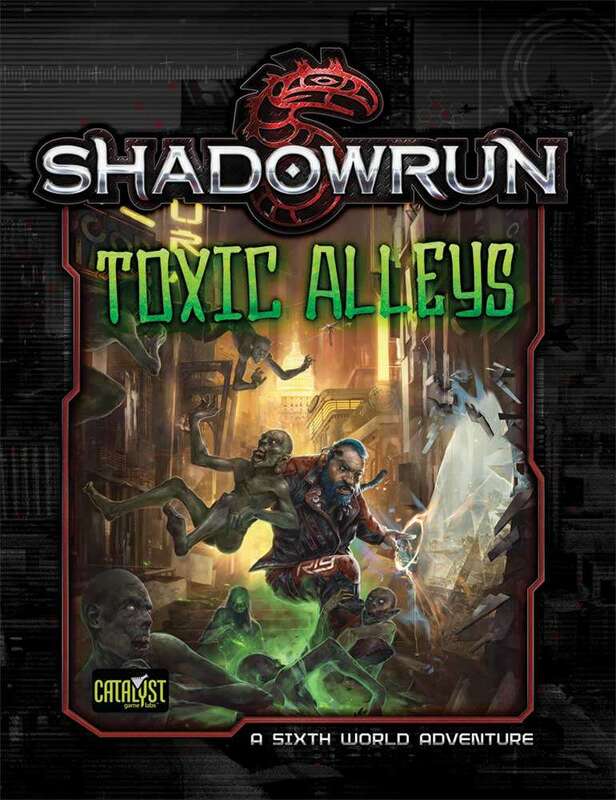 Toxic Alleys is a complete adventure for use with Shadowrun, Fifth Edition. While it draws on existing plot lines, it stands on its own and can be enjoyed by any team of runners looking for a challenge. So there you go! Have fun! 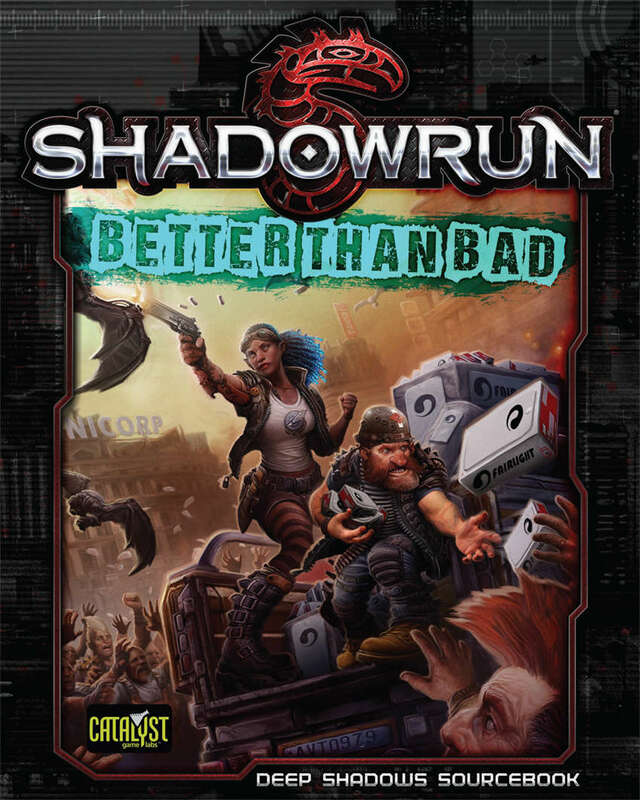 Play Shadowrun! Morocco gets the Shadows in Focus treatment, starting now! What do you want from a nation you’re going to run in? How about a place with access to cutting-edge technology while also retaining a firm footing in old traditions? How about a population focused on cutting deals and making things happen? How about a system of government that can be appallingly harsh but also, when they can be made to see the benefits, rather forgiving? And how about access to a dragon’s hoard worth of goods flowing into and out of the nation daily? If all this sounds like the shadowrunning haven of your dreams, then you want to run in Morocco. Shadows in Focus: Morocco provides an overview of this nation, with details on how to get in, how to get out, where to go, who to meet, and what to do. It also details some of the ways you might get into trouble and offers some hints on getting out of it. 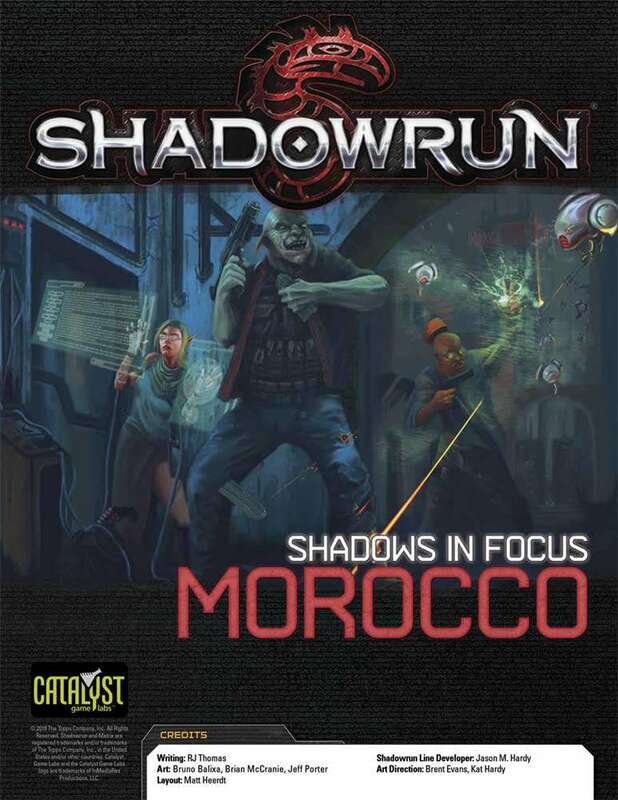 With plenty of tips for running games in this country as well as rules for building Morocco-based characters, Shadows in Focus: Morocco adds a new element to Shadowrun, Fifth Edition games. 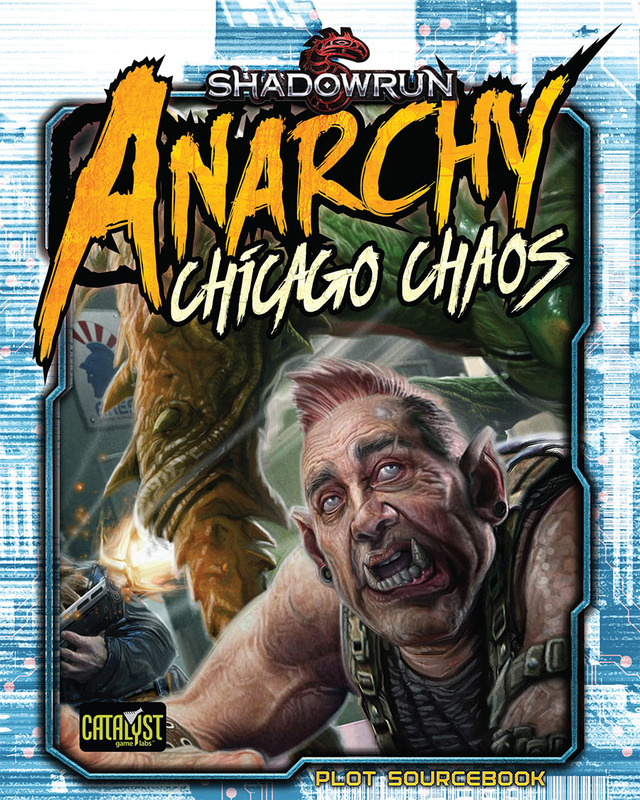 The setting information can also be used in Shadowrun: Anarchy games. 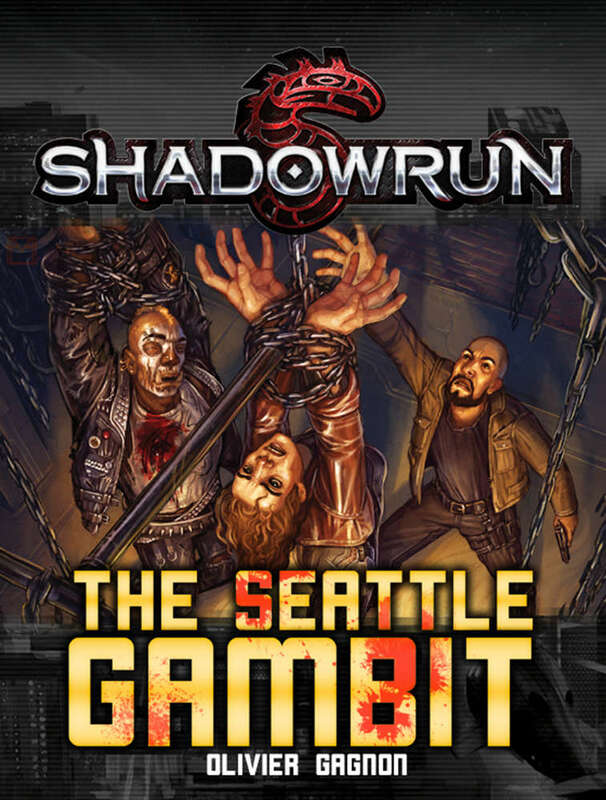 New Shadowrun fiction out–try the Seattle Gambit! 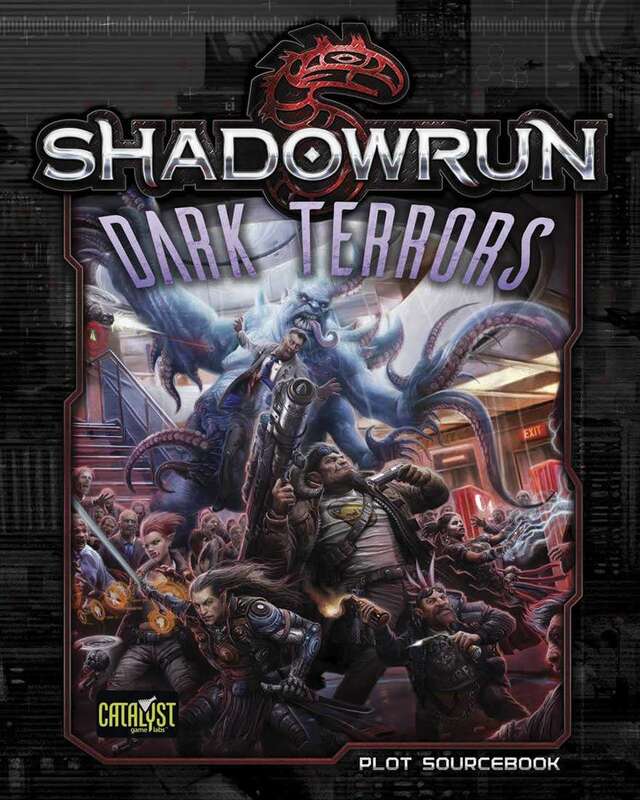 The darkest time of year brings Dark Terrors to Shadowrun! The sun recently went down in Barrow, Alaska, and it will not be seen again until January 22. Seems like the perfect time to turn our attention to the things that go bump in the night–the things that freeze us between wanting to turn on the lights to see what’s out there, and wanting to stay in the dark because sometimes, it’s better not to know. 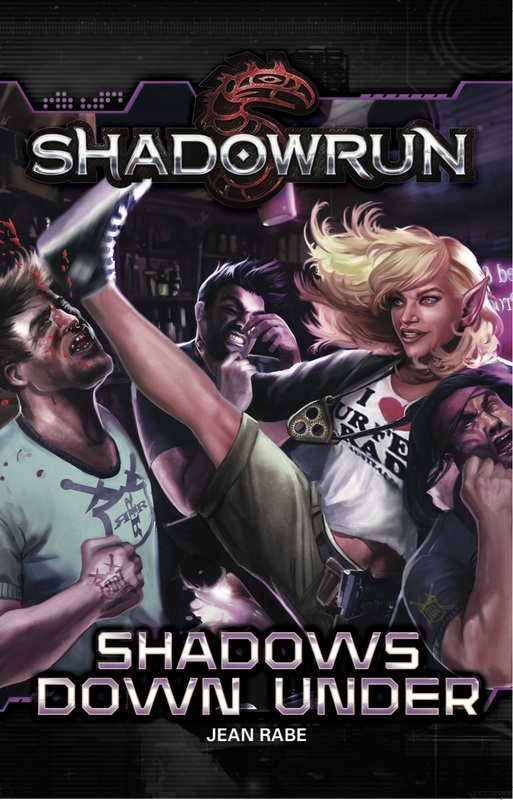 Shadowrun action blasting your way with new adventures! Value is not a secret. When something is worth a lot of money, or conveys a lot of power, or both, people of the Sixth World know. They make it their business to know. That means that when you’re tracking down something with a lot of value, be cautious. You won’t be the only one after it. In Lethal Forces, Mr. Johnson comes along spinning tales about secret research in a highly secure facility, which is definitely the sort of thing that has a lot of value. Mr. Johnson may not tell the runners who else might come calling, but what self-respecting team of runners relies on Mr. Johnson to give them the information they need? They’ll have to stay alert, keep their wits about them, and be ready for any and all opposition—including ones with scales. 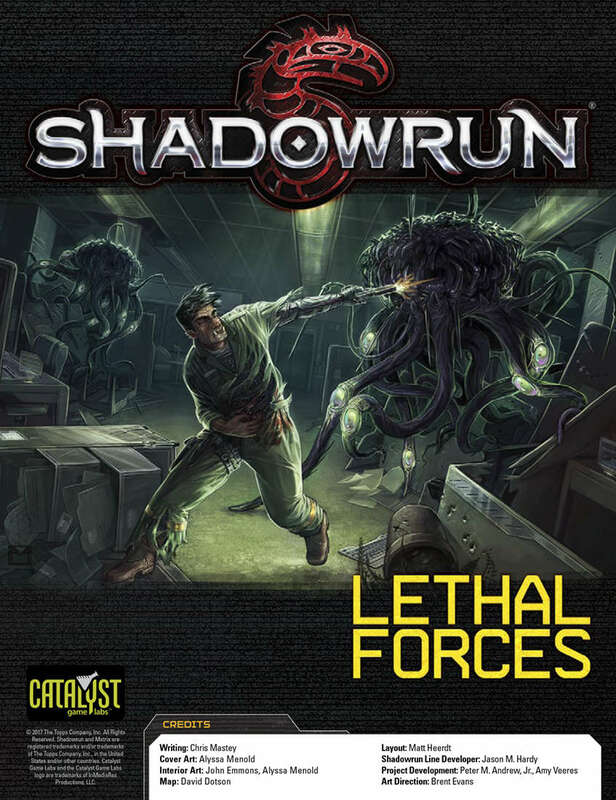 Lethal Forces is an adventure for Shadowrun, Fifth Edition, especially for experienced runner teams ready for a challenge. The plot elements can also be used with Shadowrun: Anarchy. Maybe you might misplace a commlink. Or lose a box holding a few stray bullets. But who loses an entire community? Well, it’s Chicago’s Containment Zone, where a large group of people disappearing is not the strangest thing to happen this month. Or this week. Or today. But even if it’s not the strangest thing, it’s the one someone is willing to pay runners to investigate. So it’s important. The thing is, a whole group of people doesn’t just disappear easily. Or nicely. Some of the powers that like to stay hidden in the Containment Zone are going to make themselves visible, and shadowrunners need to survive their appearance. And see if they can save some lives while they’re at it. 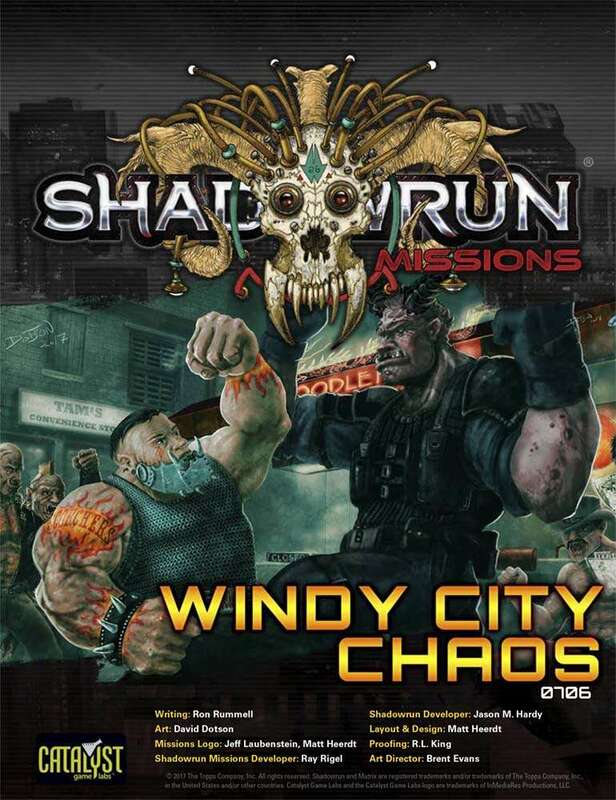 SRM 07-06: Windy City Chaos is an adventure for Shadowrun, Fifth Edition. Whether you have played a Mission before or are diving in right here, it presents a strong challenge for runners to see if they can survive some of the city’s extremes. Plot elements from this Mission can also be used with Shadowrun: Anarchy. Catalyst Game Labs At Gen Con 2017! Of course we’ll be running our usual wall of demos, as well as massive events surrounding Shadowrun and BattleTech games. 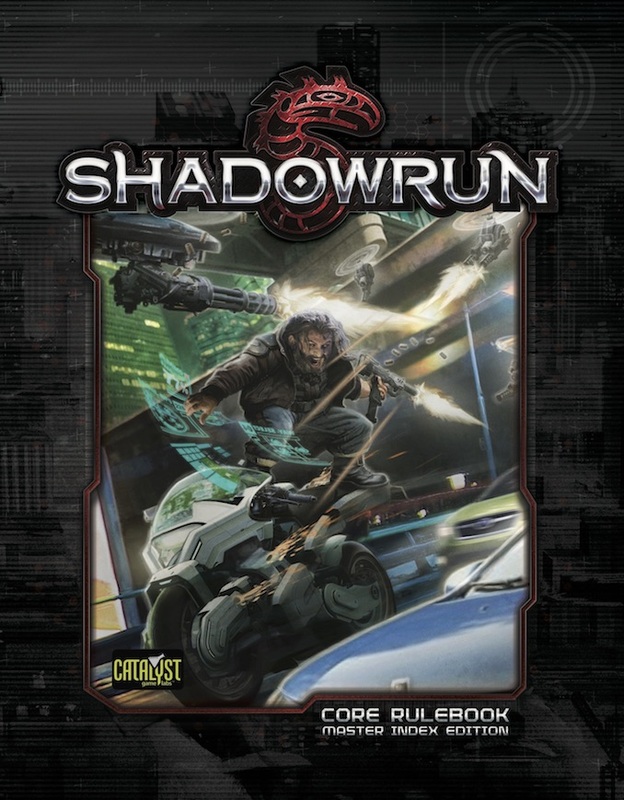 With the Shadowrun tournament, BattleTech Grinders, Shadowrun Anarchy games, BattleTech Alpha Strike games, and all manner of Shadowrun Missions and BattleTech scenarios being run, you can dive in throughout the con to find fun and adventure in some of the most exciting, enduring game settings of all time! Our Shadowrun games are all being run in ICC 122-123, while our BattleTech games are being run in ICC Hall B. In addition to our great catalog of existing games, the following brand new games will be available to play and purchase at the show! Dragonfire is a 2 to 6 player deckbuilding game set in the world’s greatest roleplaying game, DUNGEONS & DRAGONS. Players choose from a number of races, from dwarf to elf, half-orc to human, while assuming the quintessential roles of Cleric, Rogue, Fighter, and Wizard. Equipped with weapons, spells, and magic items, players begin their adventure along the famed Sword Coast, then expand to other locales across the Forgotten Realms, such as Baldur’s Gate, Neverwinter, and Waterdeep, in future expansions. Along the way, players level up their characters, opening access to additional equipment, feats, and more. Join the quest, and build your own legend! Come play in a demo and walk away with the free Gen Con promo Character screen! Character Pack: Heroes of the Sword Coast contains thirty-two additional Character screens, introducing the Druid, Bard, Ranger and Warlock Classes into Dungeons & Dragons Dragonfire. Additional races are also featured, including Rock Gnome, Tiefling, Lightfoot Halfing, and Gold Dwarf. Other screens bring Classes, genders and races together in a broad variety to fill out a sweeping range of adventuring parties. Finally, the pack includes dozens of sticker sheets, as well as twenty-seven new Market cards. Using the most up-to-date rules text, the BattleMech Manual has been designed from the ground up to cater to the BattleTech player wanting to engage in an all-’Mech battle. Includes a variety of optional rules, terrain and more. Welcome to the most table-usage-friendly BattleTech rulebook ever published! They can call you a trog. Sure they can. Let ’em think it’s a smear. Let them show you what they don’t know. Let them ignore history, the great accomplishments orks and trolls have made in every field in the Sixth World, the homes and enclaves they’ve built out of nothing. There’s enough talent in the trog population to punch, hack, rig, charm, or enchant that smug smile right off their face. You know what you are. They’ll learn—fast, if they know what’s good for them. Sprawl Stories contains four Shadowrun novellas that explore Seattle through the eyes of the people who live there every day. A burned-out mage detective tackles a missing person case that quickly threatens to spiral out of control. A reporter goes on the ride-along of her life with a high-octane DocWagon team, and uncovers a conspiracy on live triedeo. A young ex-wagesalve is caught between powerful forces while investigating his uncle’s death. And a shaman must deal with a serious injury that threatens his very way of life–but not before taking vengeance on those who double-crossed him. You’re the contagion. You are the fear. You are the thing that makes the megacorporations of the world tremble. In the world of Shadowrun, the corps think they have everyone and everything under their thumb, but they don’t have you–the hacker in the Matrix, the fly in the ointment. You know where the world’s deepest scariest are buried–and you have the weapons needed to fight to bring them out. 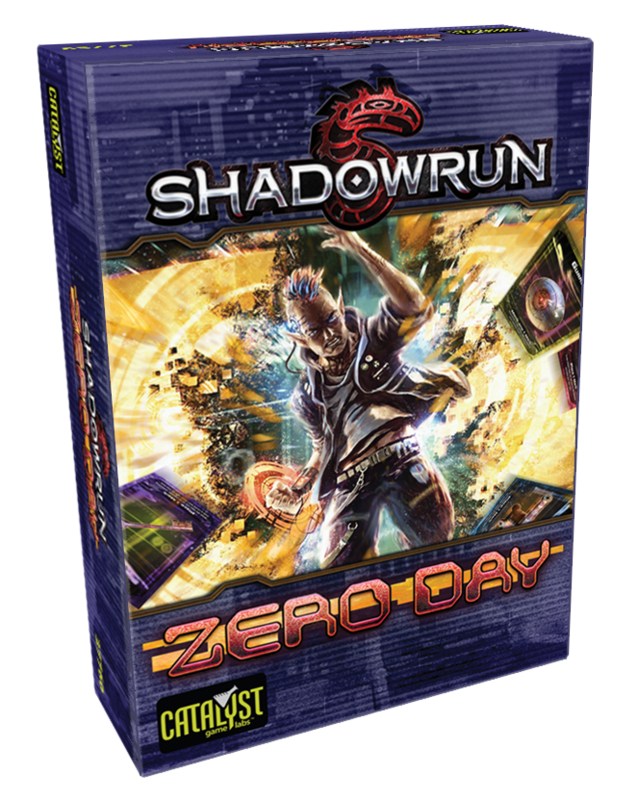 In Shadowrun: Zero Day, players hack into the megacorporations that rule the Sixth World. Whoever disables and bypasses the myriad countermeasures and scores the most assets wins! When you look at this tarot deck, what do you see? You can’t miss the 78 cards with gorgeous, original art by Echo Chernik, that adapt tarot arcana to Shadowrun’s Sixth World. But look closer. Examine the details. Explore connections. Do you see them? Are you catching everything the cards have to tell you? The Sixth World Tarot is a complete deck of Shadowrun-themed tarot cards, useful as game props, plot hooks, or any other purpose tarot cards are for! Master of Orion: Conquest is a two-player dueling deck builder. Play as one of two species in the galaxy–the humans and the shape-changing, mimicking Darlocks–as you build and fighter your way to victory. Explore the galaxy to find new Planets to colonize and use their production to build your fleets. Destroy the enemy’s Home World and become the Master of Orion! We’ve also got our usual bevy of new t-shirts, pins, and dice, including these fabulous, all-new metal dice made from aircraft-grade aluminum, and the first ever BattleTech and Shadowrun poker chips! If all of that weren’t great enough, come get a sneak peek at an avalanche of awesome games coming in the next 6 to 12 months from Catalyst Game Labs! When you work for a game company, the phrase “Gen Con will be here before you know it” fills you with simultaneous excitement and dread. Because while Gen Con is an awesome experience of games and people and non-stop activity, it’s also a lot of work to prepare for it. Some of that preparation involves getting books ready to sell, and the good news for all of you out there is that we need them to be done before the con if we want to sell them there. 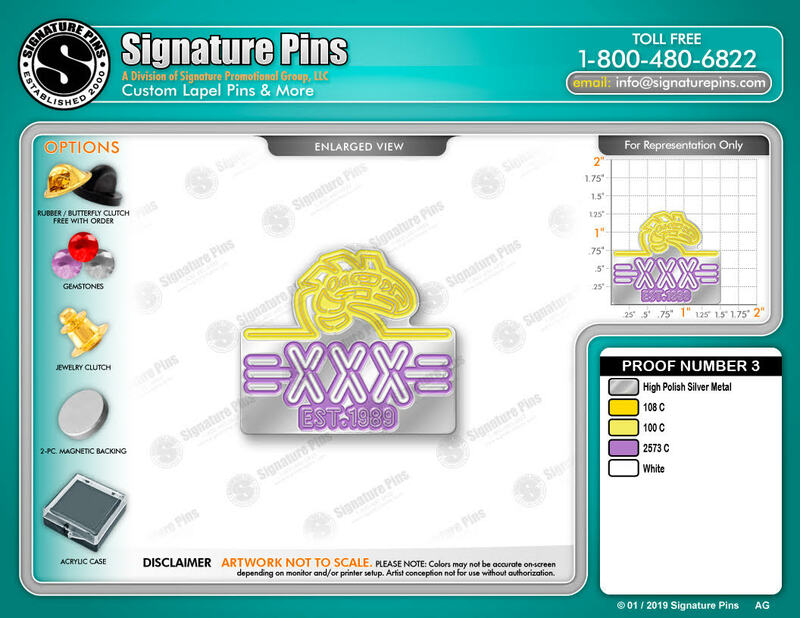 Which means they’re done now and at the printing press. If they’re done, we see no reason why you shouldn’t have PDFs of them if you want, so get a jump on the big con by checking out the electronic versions of two new books! 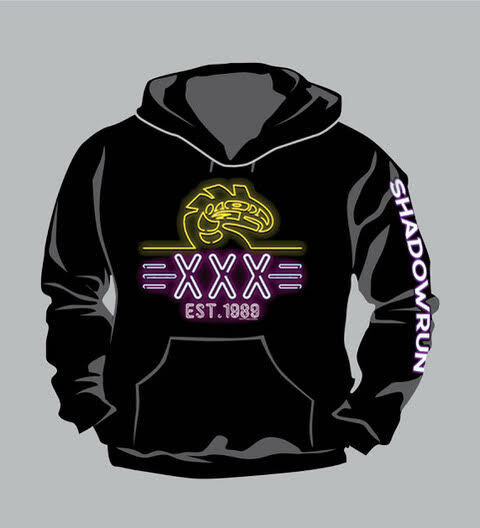 If investigations into bizarre occurrences need to happen, then there are shadowruns to be done. The right team will have the chance to bring in an impressive payday, but they’ll have to navigate their way past old grudges, tainted magic, and creatures of pure destructive power waiting to be turned loose on the sprawl. 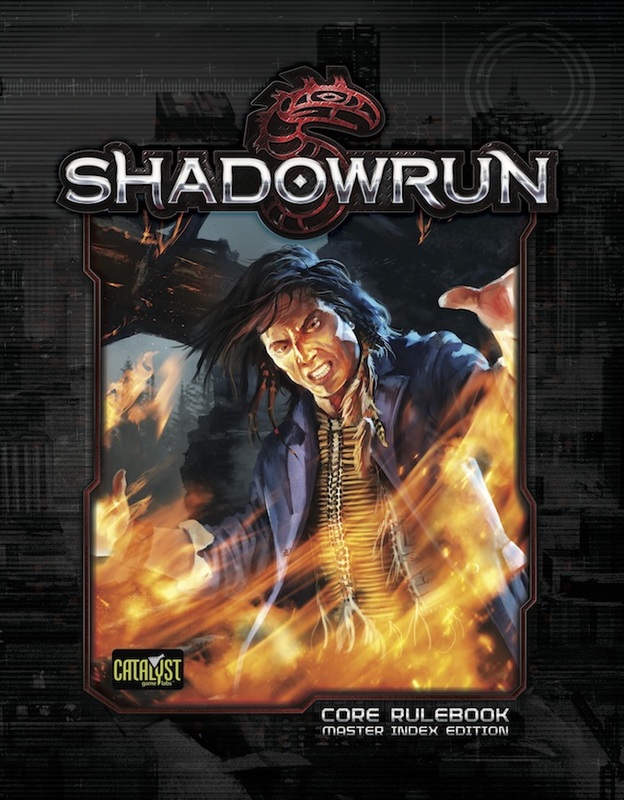 Ripping Reality is for use with Shadowrun, Fifth Edition. Jump into these books and enjoy the fun! Delve into the unknown with Forbidden Arcana, new advanced magic book! 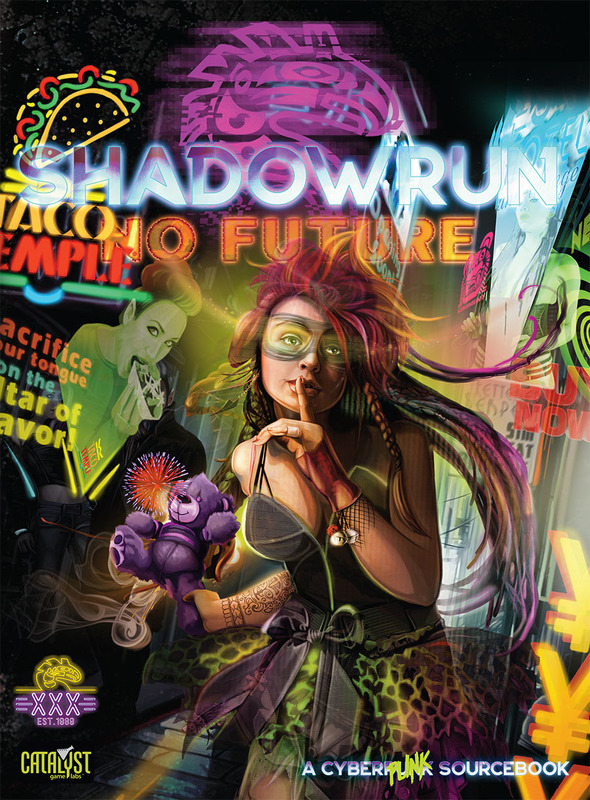 Lots of new Shadowrun thrills and possibilities have erupted into the world today! Like an overcast fireball lighting up the hallways of some corp lab, a new advanced magic book called Forbidden Arcana is now available for PDF purchase at the Catalyst shop and DriveThruRPG. Now, before we discuss the content of the book, eagle-eyed viewers of the above paragraph and the Catalyst shop may notice that there is, at the moment, no link for a print pre-order. Don’t worry–that doesn’t mean we have forsaken print books! With the new Catalyst web shop and the ongoing work to make our sales and distribution processes function as we’d like them to, at present pre-order will not occur until the book is in the warehouse, ready to be sent out. But we can assure you that Forbidden Arcana is at the printer now and will make its way to game stores and online ordering before long. Magic is wild. Magic is undisciplined. You can try to impose order and understanding on it, but that’s just surface. Underneath is chaos, an erratic heart beating to a staggering rhythm. You don’t control it, any more than a surfer controls twenty-meter-tall wave; you don’t direct the wave, you ride it, capture a piece of its power, and hope to survive. If you do it right, though, you catch a portion of unimaginable power—power those who control the Sixth World don’t want you to have. All the more reason to push past their boundaries and grab it. Forbidden Arcana is an advanced magic rulebook for use with Shadowrun, Fifth Edition; magic concepts from the book can be used with Shadowrun: Anarchy, though mechanics for that game are not included. Totally normal, free Mission for Shadowrun released! Hey, we’ve got a new Mission for all of you today, and we’re releasing it for free! And we’re here to tell you that it’s completely, totally normal in all possible ways. Yep. Nothing weird going on here. No, sir. The content? The characters? All totally normal. Certainly not the products of someone who clearly spent a lot of sick days watching too much television when they were young. Nope. Definitely not. It’s all just as it should be. And it looks normal, too! Sure, it may not have been laid out by, you know, a professional layout person or anything, but there are words inside a PDF, so hey, it’s pretty much the same, right? But the important thing is it’s free. Completely free. So even if it were a little weird or something–and it’s not! Definitely not!–it would be worth checking out for the price, right?